AMD released a new graphics card based on a new GPU architecture, the Radeon R9 285 with a 28nm Tonga GPU. The R9 285 is a mid-range graphics card that replaced the R9 280 and is targeting NVIDIA’s GeForce GTX 760. Like the Radeon R9 290 and R9 290X, the R9 285 also features GCN architecture, bridge-less CrossFire configuration, natively supports Eyefinty on the Dual DVI ports + HDMI, and AMD TrueAudio support. It is also AMD’s first discreet GPU with a redesigned fixed-function decoder (UVD – Unified Video Decoder) that supports full hardware decode of 4K H.264 videos. Today, we are going to look at the Club 3D Radeon R9 285 royalQueen graphics card, featuring a factory overclock setting of 945MHz GPU clock speed, 1792 Stream processors, and 5500MHz Memory clock speed. 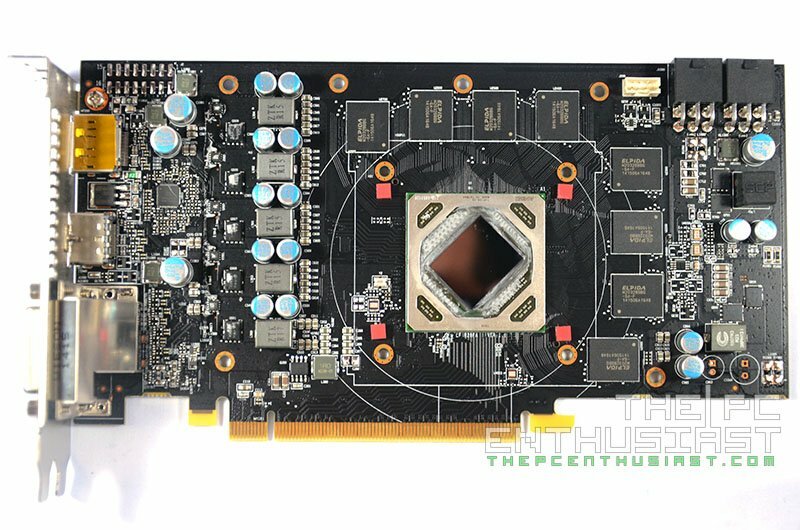 Will this be your next mid-range graphics card? 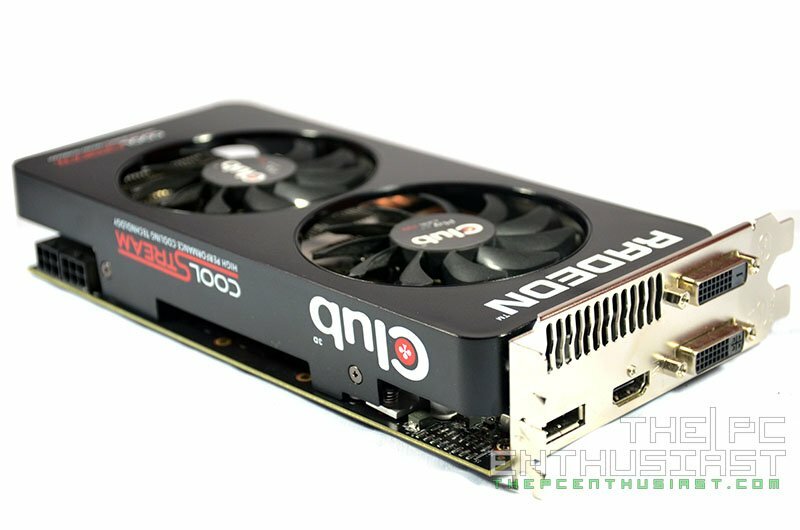 Find out in my Club 3D Radeon R9 285 royalQueen review below. The Radeon R9 285 Tonga-based GPU is AMD’s answer to NVIDIA’s GeForce GTX 760 or for the $250 graphics card price margin. Although this particular GPU sounds a little late since the GTX 760 has been on the market for more than a year now, still it’s good to see some competition and options. Aside from that, the R9 285 is also meant to replace the discontinued Radeon R9 280, and very soon it’s fully enabled Tonga XT GPU which we will be used in the R9 285X, will replace the R9 280X. The new R9 285 is also said to be more power efficient compared to the R9 280s. The reference Radeon R9 285 features a GPU clock speed of 918MHz and 1375 MHz memory clock speed. It also features 1792 stream processors, 32 ROPs, 112 TMUs and a 2GB GDDR5 memory running on a 256-bit memory interface. 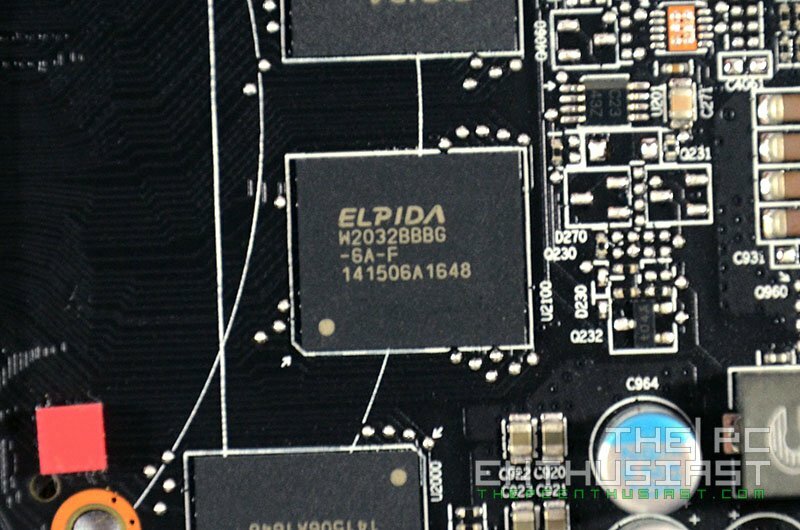 The new Tonga chip which is based on the new GCN 1.2 or Graphics CoreNext architecture is said to be faster than Tahiti in terms of per clock performance and it is also capable of driving a 4-display Eyefinity setup via the four output display connectors on the card. Club 3D’s Radeon R9 285 royalQueen PokerSeries, on the other hand, comes with a factory overclock settings out of the box. It has a GPU clock speed of 945MHz GPU clock speed, 1792 Stream processors, 5500MHz Memory clock speed and has a Thermal Design Power or TDP of 190W. It also supports Eyefinity 6 (requires a Club 3D MST Hub), and is capable of Quad CrossFire without using any CrossFire bridge. It also features the company’s CoolStream Cooler featuring high performance heatpipes that keeps the components cool and outperforms standard cooling solutions. I’ll discuss more of the card’s physical features as we take a closer look below, and then let’s put it to the test and find out if it does outperform the GTX 760. 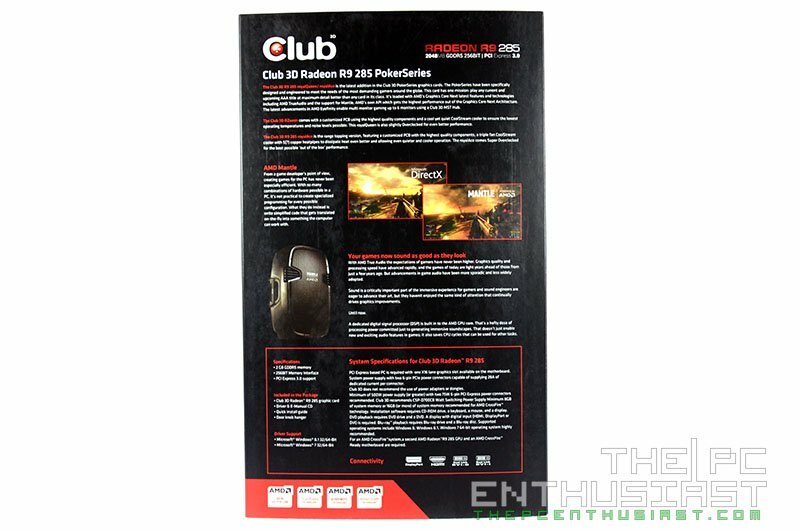 The Club 3D Radeon R9 285 royalQueen comes in a simple rectangular black box. Some of the graphics card’s features can be read from the rear section of the box. The packaging is also straight forward. 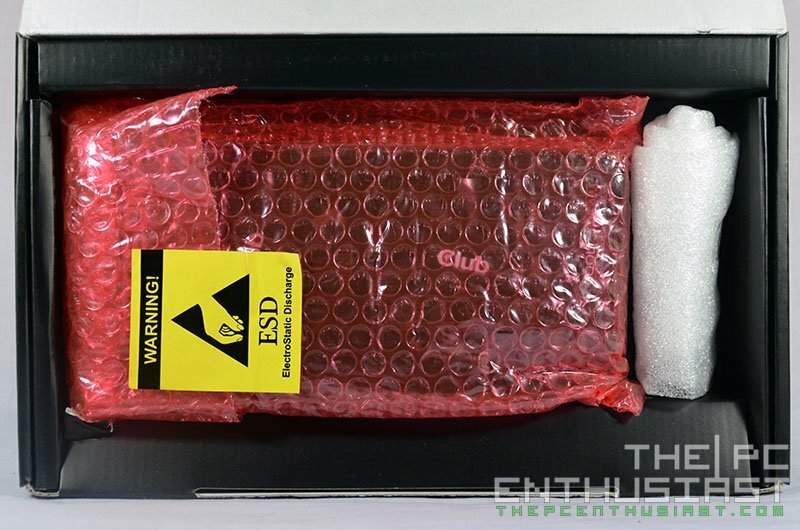 Once you remove the outer covering, it will reveal the R9 285 wrapped in an anti-static bubble-wrap pouch. Above are photos of the front and rear view of the Club 3D Radeon R9 285 graphics card. It’s a pretty simple looking card and the black PCB matches the cooler’s shroud. Notice that there’s no CrossFire finger anymore on this card. But it supports multiple graphics card configuration up to 4-way CrossFireX. Above are more angled shots of the said graphics card. On its output ports, it features the most common display output setup; two DVI ports, one HDMI port and a DisplayPort. You can connect up to 4 display at the same time and they will work simultaneously with this card. 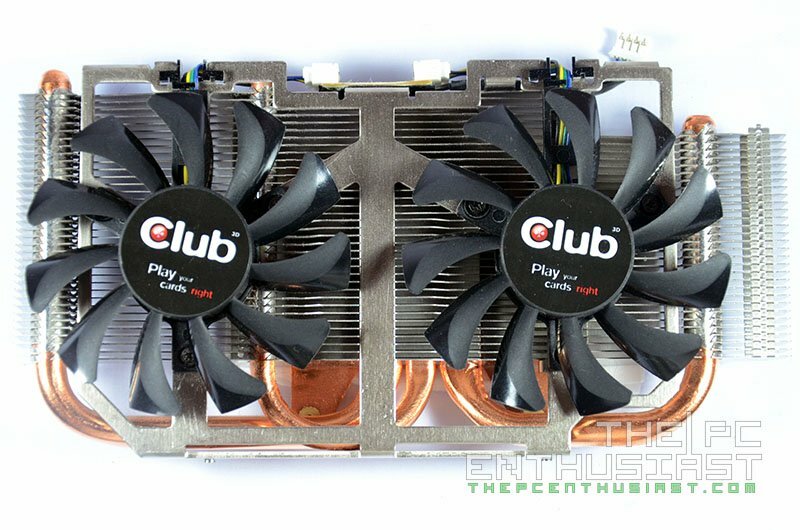 The Club 3D Radeon R9 285 draws its power from two 6-pin PCIE power connector, and it is recommended to use a 500w power supply with this graphics card. If you are planning to install two R9 285 on your system, be sure to have at least a 700W PSU instead. 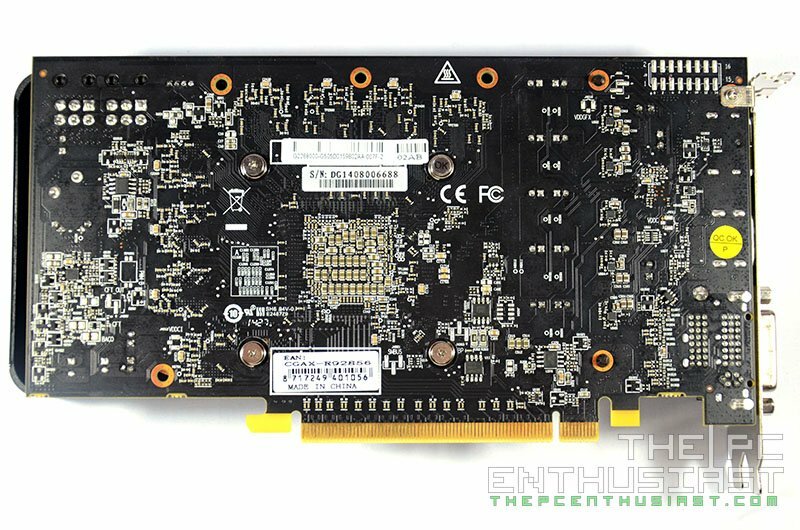 It has a TDP of only 190W, which is lower than its predecessor R9 280 having a TDP of 225W. 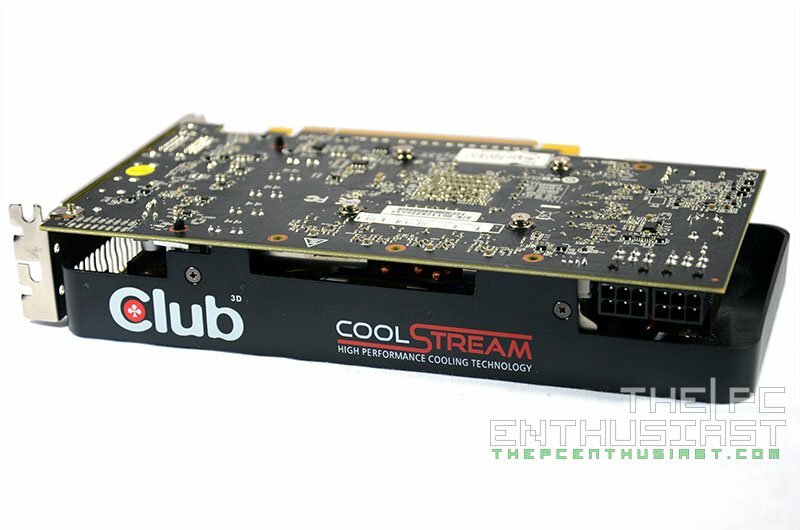 Club 3D’s Radeon R9 285 features a non-reference cooler called CoolStream, and the shroud is made out of hard plastic. Underneath is a copper base that makes contact with the GPU. 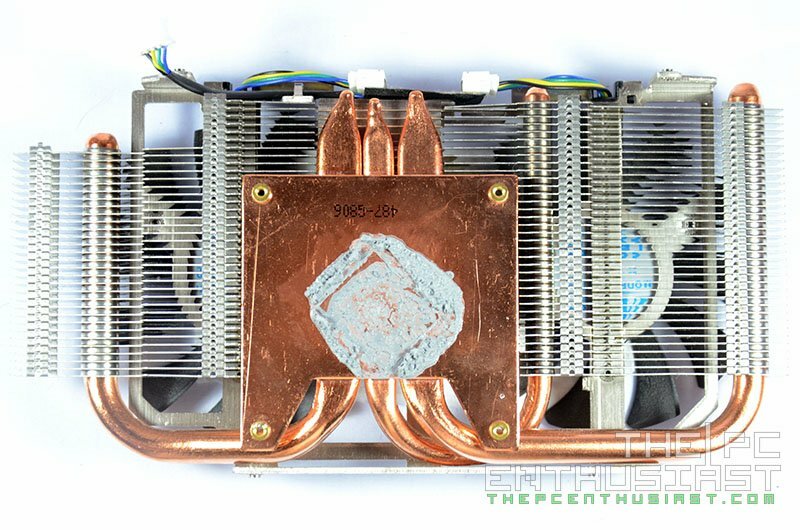 There are three copper heatpipes that transfers the heat from the copperplate to the aluminum fins. 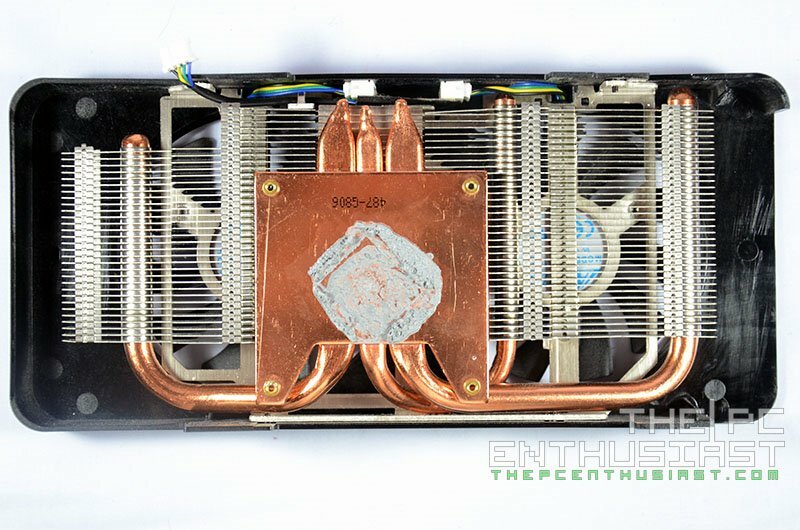 Above are photos of the CoolStream cooler without the shroud. Personally, I would appreciate it better if the copper heatpipes where nickel plated, since that would look better. Above are photos of the front and rear view of the R9 285’s PCB. Club 3D uses a 5 phase power design and they are using solid capacitors on this one as well. If you notice there are four red square stuff near the GPU, it’s just a padding to prevent the GPU from getting damage due to the cooler’s contact pressure. 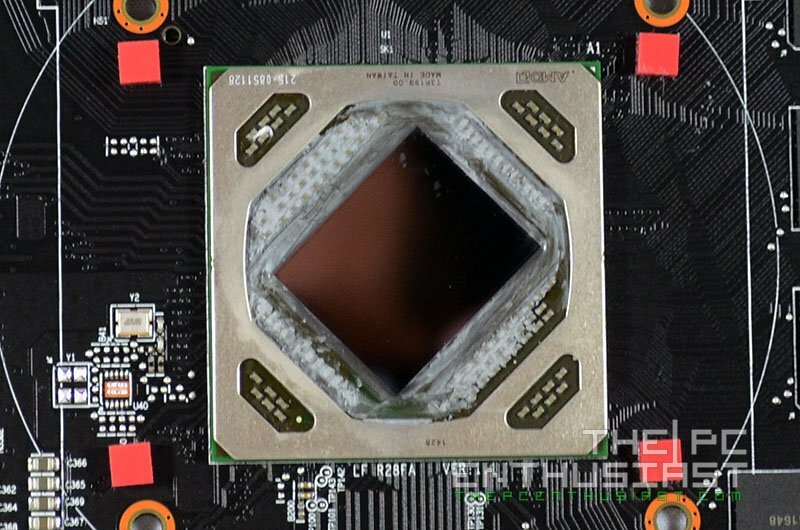 Above is a close up look on AMD’s Tonga GPU based on a 28nm fabrication processes. The R9 285 is also composed of 8x Elpida W2032BBG-6A-F memory chips, that makes up the 2GB GDDR5 memory on this graphics card, and are specified to run at 5500 MHz effective speed. In testing the Club 3D Radeon R9 285 royalQueen, I’m using a Gigabyte Z97X Gaming G1 WiFi Black Edition motherboard, powered by an Intel Core i7-4770K. Also during the test, I am using AMD Catalyst version 14.300.1005.0 for Windows 7 64bit. Below are the rest of the specifications of the test system. Club 3D’s Radeon R9 285 came with a somewhat conservative factory overclock setting and you can still push it further by simply tweaking its GPU and memory clock speeds. I was able to push its clock speed to 1075MHz, giving me a 13.76% increase compared to its default speed, and a 17.10% increase compared to the reference clock speed of 918MHz. I was also able to overclock its memory to 1550MHz, resulting in a 6200MHz effective memory speed. The Club 3D Radeon R9 285 ran fairly silent during my test, and it didn’t sound like a jet engine even on full load. As for the temperature, the idle to light load temperature I got was around 38 to 40 degrees Celsius. On medium load the temperature would go up around 55 degrees Celsius. But the temperature suddenly rises up to 78 degrees Celsius in full load or in overclocked settings. This could be controlled or lowered down by adjusting the fan speed but I’m pretty sure you wouldn’t want to do that because the fans will get loud. By the way, I could also feel heat radiating from the surrounding area of the graphics card while at full load. It would be best to have a good air intake and exhaust; it will also help lower down the temperature. Below are the synthetic benchmark scores/results I got while testing the Radeon R9 285. I didn’t place side by side the benchmark results that I got while testing the Asus GeForce GTX 760 above, because the data was incomplete and it was tested on a different system. Nevertheless, the R9 285 proved to be faster than your typical GTX 760. Interestingly, when I compared the synthetic benchmark results of the R9 285 with the Asus Striker GTX 760 Platinum (which is most probably the most highend GTX 760 on the planet), both of them seemed to be on the same page in terms of performance. However, do note that the Striker GTX 760 is more expensive than the R9 285. Below are actual game benchmarks of the Club 3D Radeon R9 285. All games are set to their highest settings, with V-Sync turned off and monitor resolution is at 1920×1080. The minimum, average and maximum frames per second were extracted using Fraps. Meanwhile I used the built-in or in-game benchmarking tool for the Tomb Raider and Metro Last Light. For me the results above are acceptable for a 1080p gaming setup at max settings, well except for Crysis 3 since that is really a demanding game. However, I wouldn’t be that confident if your setup would be a 1440p. I’m pretty sure those FPS will be lesser when you are using a 1440p resolution, and I definitely wouldn’t recommend this for a 4K gaming setup. By the way, Lara Croft’s hair on Tomb Raider looks very nice compared to using NVIDIA’s graphics card. This is thanks to AMD’s TressFX Hair technology. 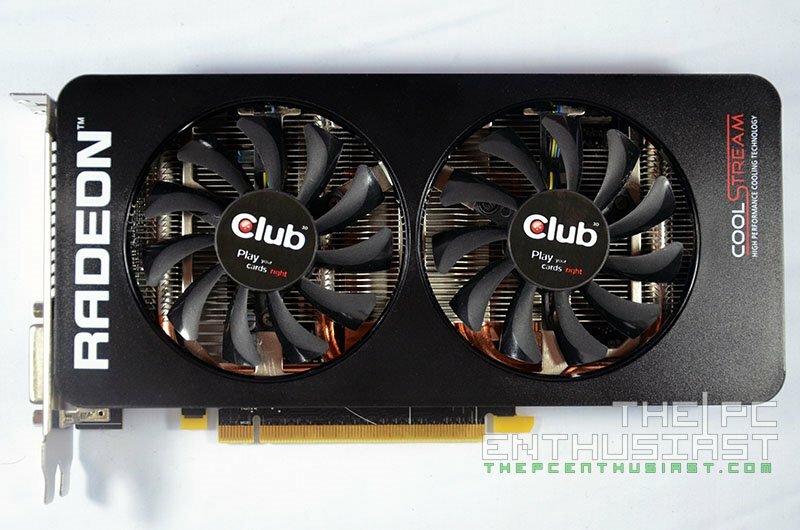 The Club 3D Radeon R9 285 royalQueen is now available with a manufacturer’s recommended retail price of $249 USD or €239 Euro both with the local VAT on top. However, actual retail price may vary depending on the store or retailer. The Club 3D Radeon R9 285 royalQueen also qualifies for the Gold Reward (3 free game titles) on the new Never Settle Space Edition from AMD. The game bundle includes new game titles such as Alien: Isolation and the Star Citizen Mustang Omega Variant Racer. Both games are optimized for performance on AMD Radeon graphics. After testing and using the Radeon R9 285 graphics card for more than a couple of weeks now, I’m actually having a mixed feelings about this card, and I wouldn’t blame Club 3D for that. I’m actually pointing at AMD. 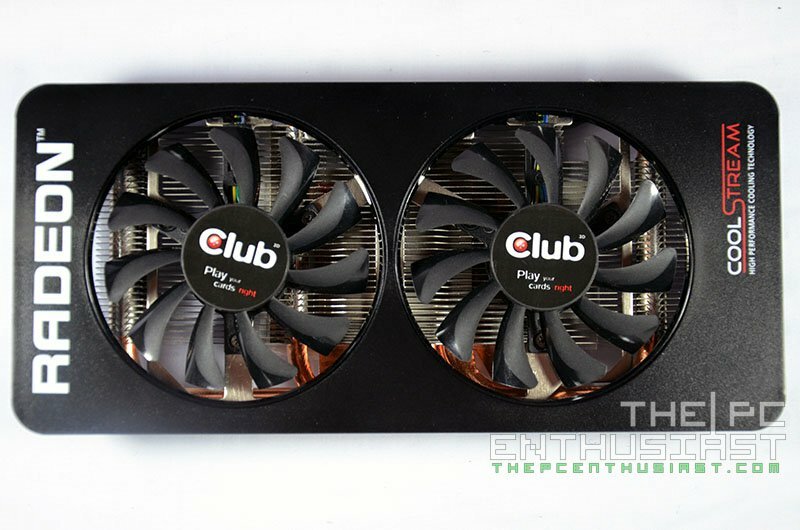 Club 3D’s R9 285 is great, it’s simple, runs quietly, and works as expected without any problems. However, due to the recent move of NVIDIA, this has greatly affective AMD’s lineup. 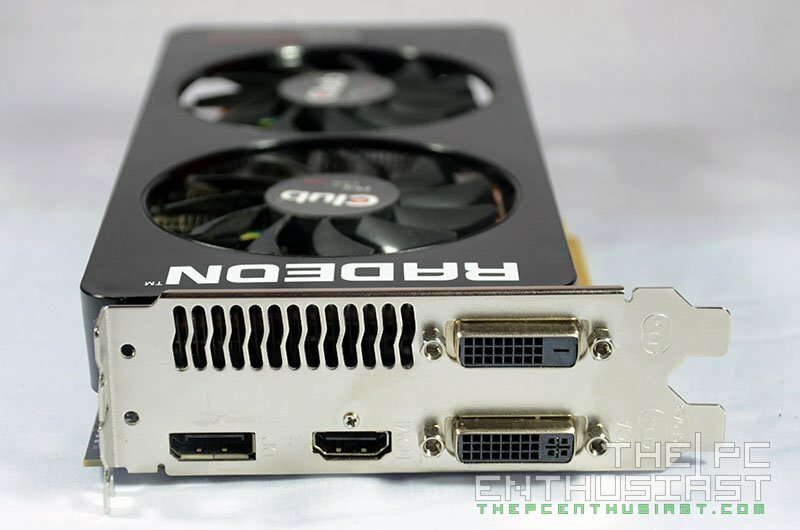 The Radeon R9 285 was originally released to replace the R9 280 and to combat the year-old GTX 760. When it comes to performance, the R9 285 does perform faster than the GTX 760, but not significantly faster. Not to mention the R9 285 currently costs a tad higher than the GTX 760 as well. 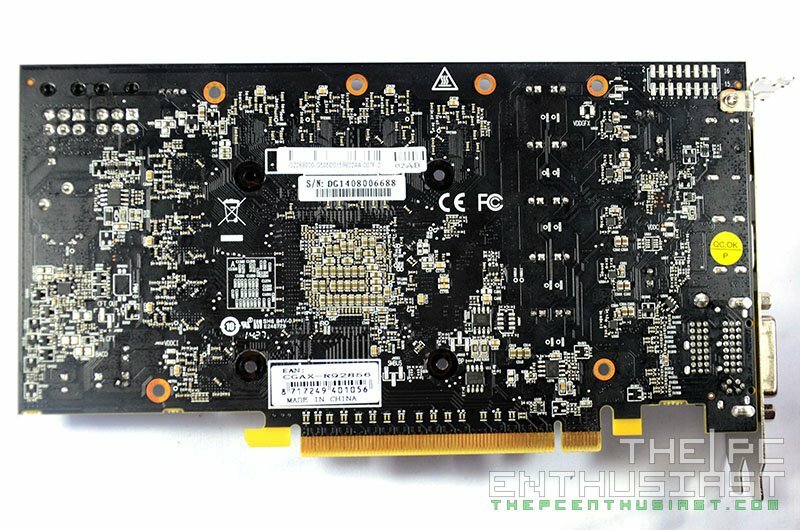 Next NVIDIA discontinued the GTX 770, plus cutting its price for as low as $260, putting the R9 285 on a pinch. So where the AMD Radeon R9 285 does leaves us? 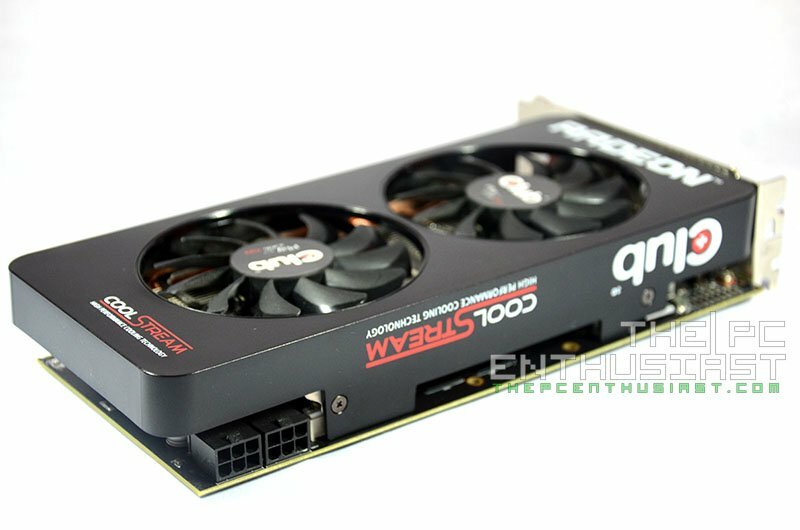 Hopefully, AMD will slash of its price to combat NVIDIA’s move, and hopefully they will release the R9 285X featuring a full blown Tonga XT GPU anytime soon. I’m sure it won’t be hard to convince AMD fanboys who are looking for a good midrange graphics card to get the R9 285. But it might be quite a challenge to convince consumers who are not loyal to any brand, much more nearly impossible to convince NVIDIA fanboys to shift to the Red team. Again, this isn’t Club 3D’s fault and it’s out of their control already. But I would like to see some improvements in Club 3D’s future graphics cards, like a larger GPU cooler or probably using a triple fan setup for mid-range to high end Radeon GPUs. 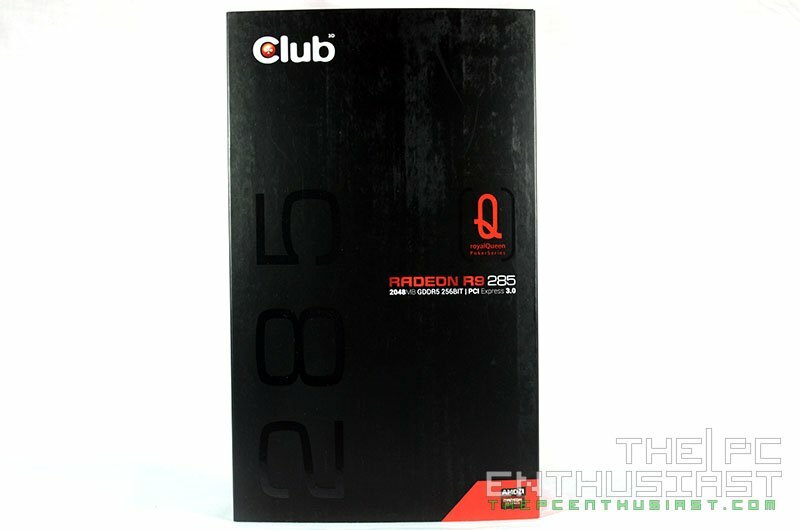 As for the Club 3D Radeon R9 285 royalQueen, I don’t find any problem why I shouldn’t recommend this one specially for PC gamers who are in a budget. But I would like to emphasize that this is recommended for gamers who plan to play at 1080p resolution max settings, or at 1440p but probably not at maximum settings on some games. 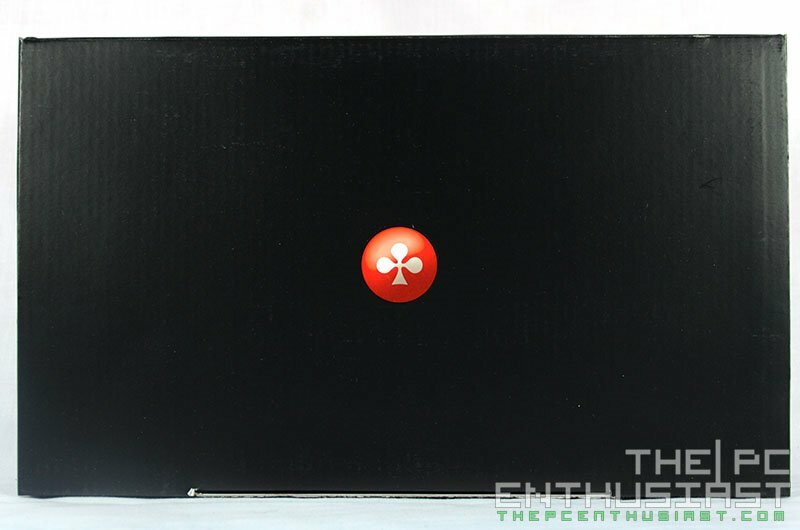 For the $249 price margin, this card deserves The PC Enthusiasts Highly Recommended award.